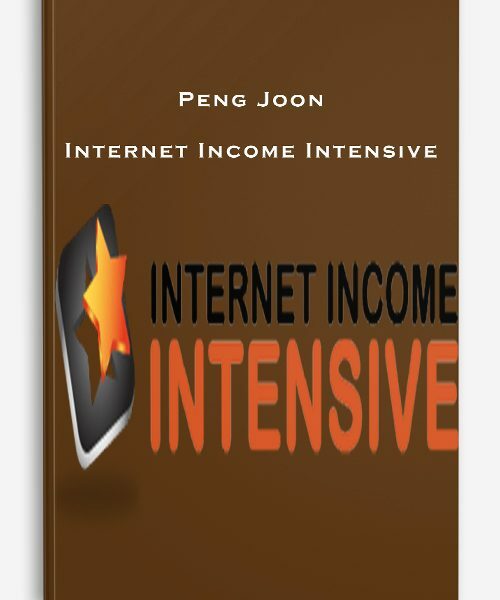 It’s Peng Joon here, author of the best-selling book “Build a Money Machine”, and creator of “Internet Income Intensive”.Have you ever wondered how it’s possible to make real money online from just two things: A laptop, and an Internet connection? How do we take our life experience, our knowledge, and our passion and transform that into a product that’s monetizable and marketable on the Internet? How do we set it all up so that it runs on autopilot so that it can potentially make money for us even while we are asleep? #1 – How do we get into red-hot markets, where people are literally ready to throw money at you for helping them? #2 – How do we create products that will cost you no money to create? #3 – How to set it all up so that it runs on autopilot, so that you can be potentially making money even while you’re asleep? Since then I’ve built an 8-figure online empire that consistently generates automated income for me month after month. Fast forward today: I’ve been traveling around the world; we’ve been to more than 20 countries today teaching tens of thousands of people this system. Today, I’m going to be showing you exactly how that works. Now, one of the biggest myths when it comes to building an online business and running it is that you need to be a programmer, designer, coder, writer or even an expert. Even until today, I still don’t know how to write a single line of code. The ONE skill that you want to be learning and mastering because that is the one skill that pays the bills – that skill is MARKETING. In the last couple of years, I’ve been in many weird niches and I’ve seen it all. I’ve had friends who have monetized from websites in niches that they’re not even experts in. This is something that is intangible: You cannot see, touch or feel it. Whenever you sell something that’s intangible (something like an eBook or a membership site) the margins are crazy because first of all, there’s no cost involved. The only two things a person needs while starting up an online business is really just a website name which is about $10 a year and hosting which is about $10 a month. And that’s it – there’s no other cost involved for a person to start up an online business. Here’s the thing: In the last 7 months, I’ve been home for about two and a half weeks. I’ve been to Europe, South Africa, I went to Australia, I went for a 2-week cruise in Miami (to the Caribbean islands), and I’ve been away from my business for a really long time. In most businesses, whenever the leader is away for such an extended period of time, they will not last. However, my businesses are still running, and the reason for that is because they’re automated. When you have that system up, that is when the entire process is completely automated. There’s no limit to the amount you can earn, and there’s no limit to the amount of people that you can target because you’re no longer limited to a certain demographic or country. The world is at your fingertips. No limit also refers to the amount you can earn: Success is not linear in this industry. It doesn’t mean that to reach $10,000 a month, you first need to be at the $8,000 mark, and before that the $6,000 mark. I’ve had students and friends who have had no prior experience, but they started doing this and they started making insane results in this business. So there’s really no limit to what you can do in this business. Today is actually the day when we are opening up enrolments, and you will get the opportunity to register for Internet Income Intensive. 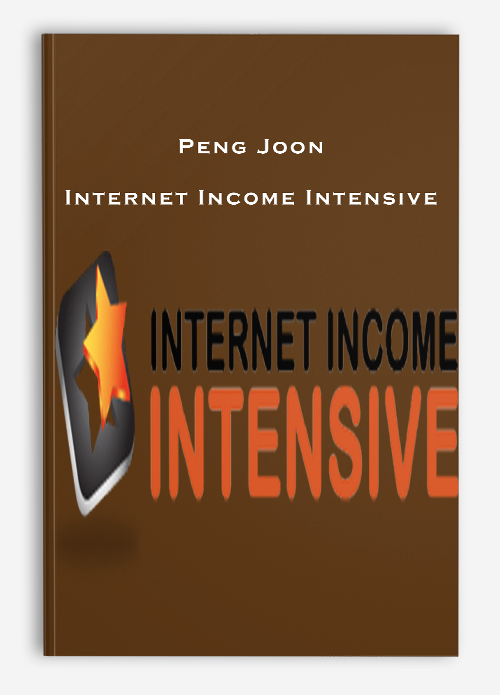 Internet Income Intensive is an online course where there are 6 different modules which will come in the form of 6 weeks’ training. It will always be up there, and you’ll always have access to it. But if you were to go through it consistently, it would take you about 6 weeks. Get access to my exact plan and blueprint on how I select profitable markets. I’ve tried and tested many different techniques over the past 9 years and through trial and error, I’ve compiled the most powerful techniques that are proven to work and I’m sharing it all with you! This is great if you’re just starting out or if you’re already an established business owner and looking to tap into new red hot markets. You’ll be able to come up with your big idea by following this exact blueprint when it comes to identifying and selecting profitable markets. Build, grow and explode your online business without having to be technical about it! That’s right, you don’t need to be a coder, programmer or designer. I have built over 500+ websites but I can’t even write a line of code and I’m going to show you exactly how you can do it too. What you need isn’t a website, because websites are dead. You need a marketing funnel. What happens to your website visitors at the first point of contact? What is the follow up process? How does that lead to a sale? These are the important questions to ask. I will show you how you can build your marketing funnel, have it up and running in under a day. Launch your bestseller online and generate multiple streams of income by promoting your own product or someone else’s product as an affiliate. The systems and templates that I use to launch my bestsellers online, so that you can model the steps and do it too. I’m going to give you the exact step-by-step blueprint that has been responsible for bringing in millions of dollars. Here’s the part many marketers struggle and fail. Discover powerful tools to use to drive insane traffic to your website. Whether you are selling a physical product, a digital product, a service or selling someone else’s product, these tools will enable you to drive targeted traffic. Learn the exact strategy to drive massive traffic, how I built a following over a million people on Facebook, branding and positioning so that you are the authority, the only logical choice in your marketplace. Honestly, I hate using the word automated because it sounds like it’s get rich quick and that you don’t have to do anything. Here’s what this module is really about. When it comes to automating a business, it’s all about having the right systems and people in place. I’ve owned over 500 different websites, without this step, it would’ve been impossible for me to manage all of them. The secret lies in the automation process that I’ve implemented. These automation strategies tie everything together and provide me with location, time and money freedom. It’s absolutely crucial to have the right systems in place so that you can remove yourself from the business. So these are the 6 money-making modules, and when it comes to teaching Internet Income Intensive, we’ve taught this in over 20 countries with tens of thousands of graduates, where we’ve charged up to $5,000 for this level of training. For the first time ever, you don’t have to fly to a different country, you’ll be able to get access to all of this from the comfort of your own home. So that means that you’ll save on the flights, the food, accommodation, travel and lodging. I’m going to be giving you three bonuses that’s worth well over $30,000.